Iranian demonstrators wave Bahraini flags during a protest after the Friday noon prayer in Tehran on May 18, 2012. Bahrain withdrew its ambassador to Iran on Thursday after police discovered a bomb factory with 1.4 tons of explosives south of Manama, Bahrain’s capital city. According to the Bahraini interior ministry, the explosives found in the underground factory matched explosive traces found at a series of attacks on police forces in Bahrain that killed several people in the past year. Police reportedly arrested several suspects with links to Iran’s Revolutionary Guard. Following the discovery of the bomb-making facilities, Bahrain withdrew its ambassador from Iran, Rashid Saad Al Dossari, while also expelling Mohammed Reza Babai, Iran’s Acting Charge d’Affaires from Bahrain. The Bahraini foreign ministry also issued a statement via its website saying these decisions were “in light of continued Iranian meddling in the affairs of the kingdom of Bahrain…in order to create sectarian strife and to impose hegemony and control. Bahrain previously arrested five people over a bombing that killed two policemen, claiming the suspects had links to Iran. 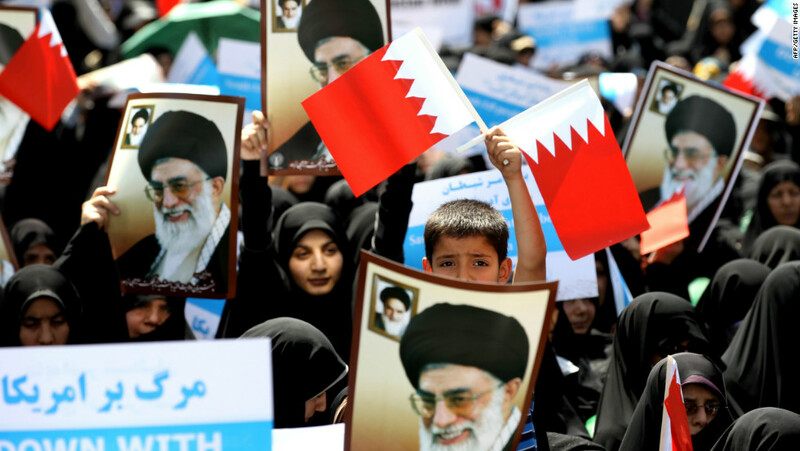 Iran has denied involvement in any violence in Bahrain.